U.S. markets and stock ETFs recovered from an earlier misstep on Thursday, pushing higher on trade optimism despite growth concerns. 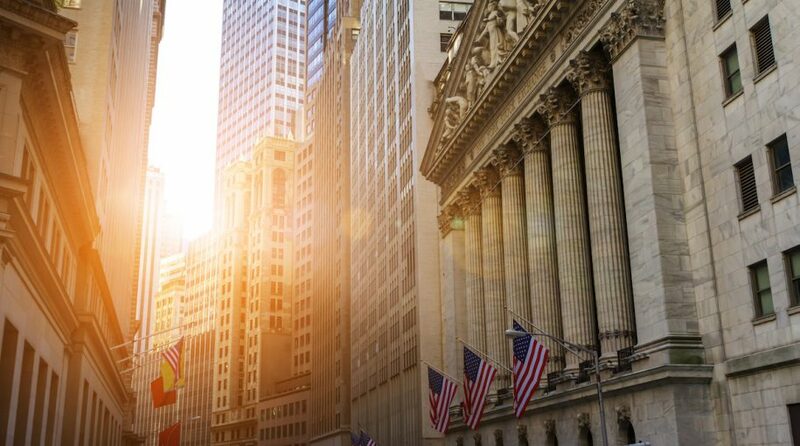 On Thursday, the Invesco QQQ Trust (NASDAQ: QQQ) rose 0.2%, SPDR Dow Jones Industrial Average ETF (NYSEArca: DIA) gained 0.4% and SPDR S&P 500 ETF (NYSEArca: SPY) added 0.4%. U.S. equities pushed higher Thursday on optimism over progress in the U.S.-China trade talks but ongoing anxiety over an economic slowdown after a cut in the fourth-quarter GDP growth capped broad market gains, Reuters reports. The U.S. economy slowed more than expected in the fourth quarter, increasing at a 2.2% annualized rate, compared to the 2.6% pace projected back in February. Corporate profits also failed to rise for the first time in over two years. The economy expanded at a 3.4% rate in the third quarter. Economic data has been closely watched since last week’s sell-off after the Federal Reserve abandoned forward guidance on any further interest rate hikes this year and the U.S. Treasury yield inverted for the first time since 2007, adding to recession fears. Hugh Johnson, chief investment officer of Hugh Johnson Advisors LLC, warned that market participants are growing increasingly concerned about a weakening earnings and economic outlook. “All of a sudden we’ve started to examine whether this is the end of the cycle. My answer is, it’s not the end of the cycle – for the stock market, the economy – but there’s not much left,” Johnson told Reuters. Meanwhile, progress on the trade talks helped bolster market sentiment. U.S. officials said that China had made proposals in talks with the U.S. on a range of issues, including forced technology transfer. White House economic adviser Larry Kudlow also said Washington could lift some tariffs on Beijing, while leaving others in place as part of an enforcement mechanism on the deal. Senior U.S. officials arrived in Beijing for a round of talks, which will be followed by another session in Washington next week.